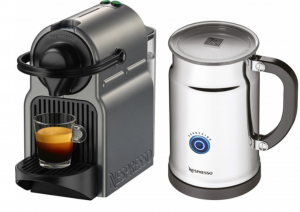 Head over to Best Buy and grab the Nespresso Inissia Espresso Maker for just $129.99! (regularly $199.99) Plus, this purchase will qualify for free two-day shipping! This deal is valid today only, April 6th, so don’t wait!